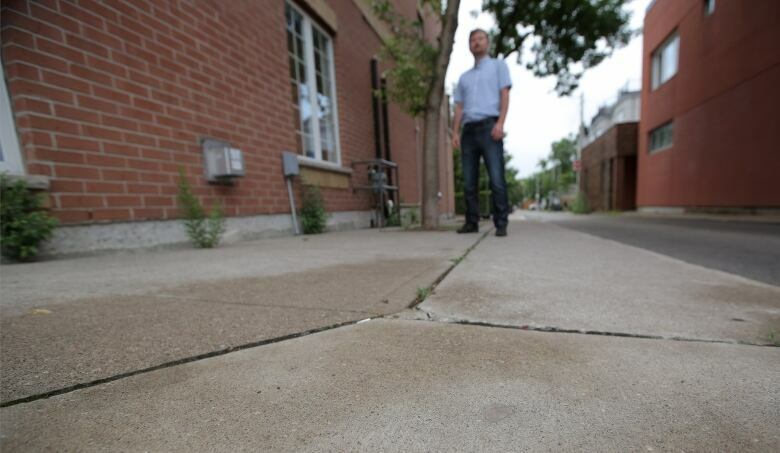 A Toronto resident is worried he's lost nearly $150,000 in property value after learning part of what he thought was his home — land he is paying property tax on — is actually owned by the city. Boro Radjevic bought a three-storey brick townhouse at the corner of Danforth Avenue and Craven Road in October of 2009, assuming from the purchase of sale agreement that the 2.2 metres of land adjacent to his new home was his as well. Radjevic and his young family never questioned what they owned, especially because they were paying property taxes on the tree-covered concrete space that connects with the sidewalk. A Municipal Property Assessment Corporation (MPAC) document from 2016 shows the home's frontage is 21.19 feet (about 6.5 metres), a total that is only correct if the exterior space is included. But this March, Bell informed Radjevic it would be upgrading a telecommunication pedestal already on that land. When he tried to halt the installation, Bell representatives told him the city owns the space, and showed him the land survey to prove it. "I was shocked," Radjevic told CBC Toronto. The ordeal has left Radjevic wondering what went wrong and what can be done to make up for the loss of a significant chunk of expensive real estate. In 2016, MPAC estimated the value of his land was worth $446,646, so Radjevic says losing nearly a third of that could be a loss of $148,882 — although given the city's hot housing market, it could be even more. "This equity just disappeared overnight," he said. "I would like to have what I bought," he said. He would also like to know: "who is responsible for the mess?" The confusion appears to stem from the purchase of sale agreement, which states Radjevic purchased Parts 24-26 of the property. However, city staff confirmed that while Parts 24 and 25 are his, the municipality owns Part 26. Real estate lawyer Bob Aaron read this story Monday morning and immediately began pulling up documents to try to figure out what happened. Aaron says there's a clear discrepancy between what's in Radjevic's deed (Parts 24 and 25 with right of access to Part 26), and what was on the sales agreement. Aaron says he believes the lawyer failed to tell Radjevic exactly what he was getting, something that's "real estate 101." If the discrepancy had been caught, Aaron says Radjevic could have done a fresh valuation and avoided the current situation. CBC Toronto attempted to contact Miran Kert, Radjevic's lawyer, about Aaron's analysis on Monday, but didn't hear back. Last Friday, Kert said he wasn't presented with a property survey at the time of the deal, and Radjevic admits he never thought to get one at the time. "To begin to understand what his rights to the property are he needs a survey," Kert said. "I would recommend to every client who purchases a property to get a survey." Aaron says everyone should get a survey, but the lawyer shouldn't have needed one to spot the discrepancy in the paperwork. Radjevic says he can't recall ever discussing the matter of a survey with his lawyer. MPAC spokesperson Cathy Ranieri-Sweenie said by email that her organization is aware of the error. "Staff are currently reviewing steps to take corrective action," she said. Coun. Paula Fletcher, whose office has been working with Radjevic, says the city's tax department has been asked to look into the matter and that the family will likely get a refund. Fletcher says the city has owned the slice of land since a car dealership was levelled to make way for the townhouse complex in the late 1990s. The trees, she said, were part of the initial plan for the site. While Radjevic has asked the city to give him the land, Fletcher says that's unlikely as the city would need to rezone the space. It would also be extremely unusual for the city to give up its own asset for free. 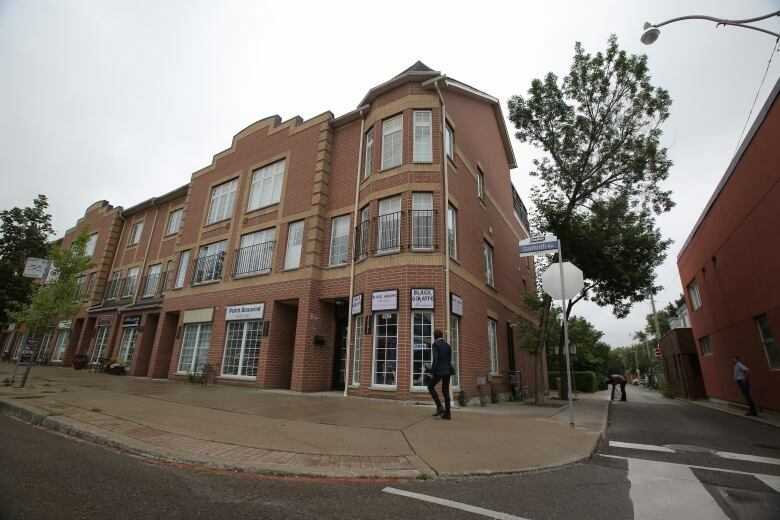 It remains unclear why the realtor, Audrey Azad of the RE/MAX Hallmark Audrey Azad Group Realty Ltd., listed Part 26 in the purchase of sale. The company issued a statement to CBC Toronto sayings its insurers are looking into the situation. "We are not able to provide further comment at this time," its statement said. 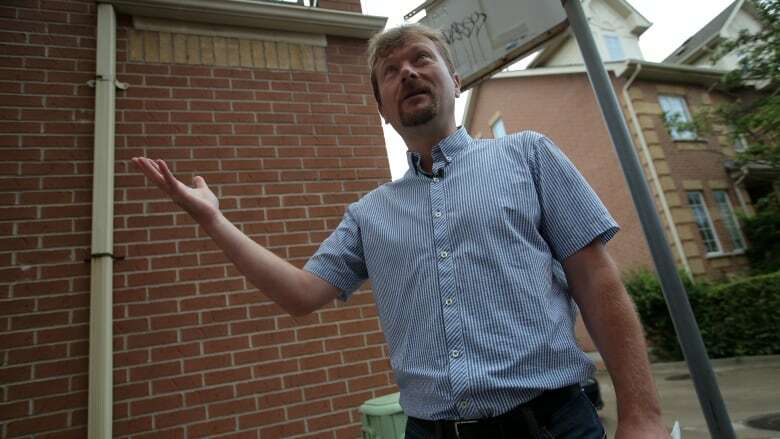 Radjevic says he has filed a complaint with the Real Estate Council of Ontario, and a spokesperson for the organization told him it will be looking into the matter. He also questions why his real estate lawyer, Miran Kert of the firm Cargill Kert, didn't flag the discrepancy. Radjevic does have title insurance, but his claim to provider First American was denied. The insurer's letter says the claim was beyond the scope of the policy. Radjevic says he's considering trying again. Despite the confusion and frustration, Radjevic says he's hopeful the situation will be made right. He also has some advice for other first-time homebuyers. "Be careful," he said, and "go in with your eyes open."